"Far away in the icy wastes of Antarctica lives a warm and cuddly, kind-hearted penguin who only wants to do good in the world . . . NOT! This is no ordinary penguin. This is . . . 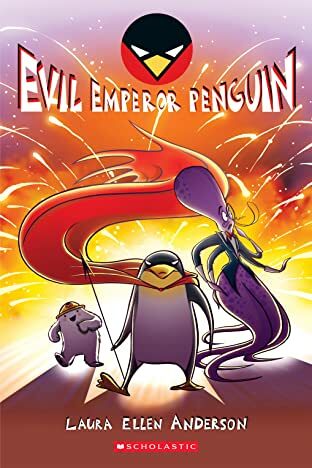 EVIL EMPEROR PENGUIN! And he wants to take over the world! 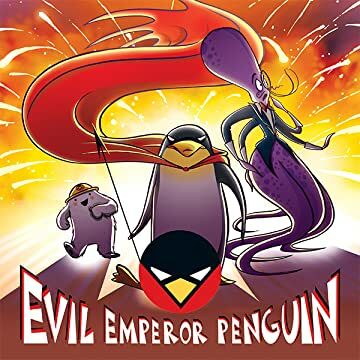 Of course, every evil ruler needs a sidekick and a minion, and Evil Emperor Penguin is no different. That's why he has Number 8, a very polite and thoughtful octopus who knits, and Eugene, the incredibly cuddly abominable snowman who loves hugs. 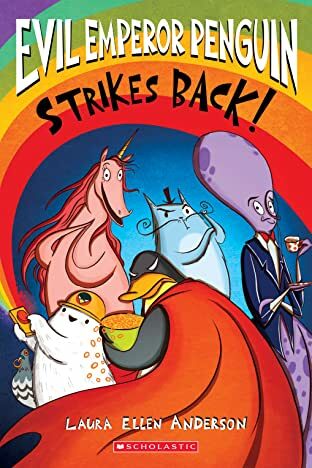 Join this fearsome team of Evil as they try to take over the world -- and of course, destroy it -- but get waylaid by evil cats, rogue farts, killer plants, and visiting sisters. "